Make your Give Day contribution today! 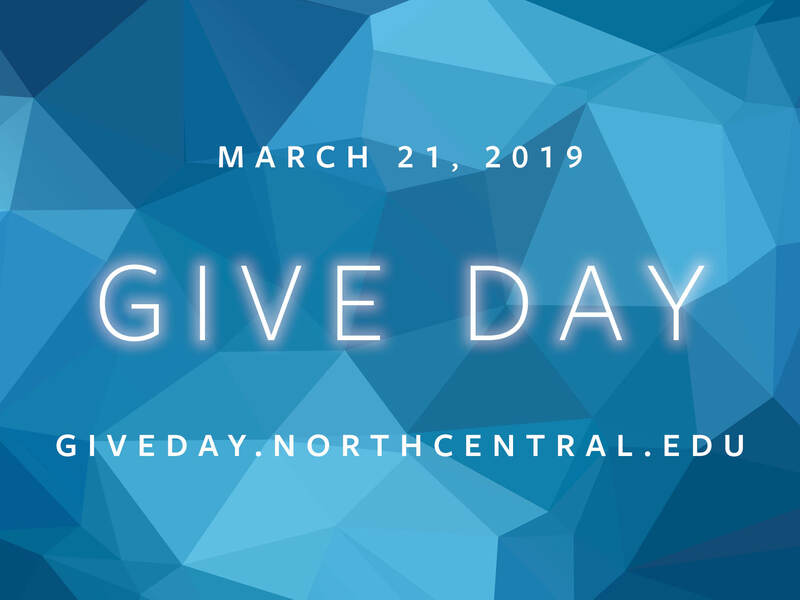 The NCU Fund provides a dependable annual source of revenue for North Central University to support students directly through scholarships and financial aid. A strong annual fund is essential to a strong future for North Central and for our students. A gift of any size makes a positive impact in the lives of students. Donate to the NCU Fund today! Pray Include North Central and its students regularly in your prayer life. Send Strengthen NCU by introducing students you know to North Central. Share Expand our reach by sharing about NCU on social media and in conversations. Join the 1930 Society by giving at the most generous level you are able (minimum gift of $1,000 annually will automatically place you in the society). Your church can become an NCU Church Partner at a level agreed upon by the church and NCU. For more information please contact Trent Redmann, Director of Development at 612.343.4749. The opportunity to attend North Central should be available to all of the youth in the church regardless of financial status, socio-economic position, or culture. Nations, communities, and families are changed when their young leaders are given the chance to attend college. Partner with us in transforming the nations. The North Central University School of Business prepares professional leaders for a life of ministry as marketplace missionaries. Students in NCU’s School of Business are active in the local community. Donations to this scholarship are designated to be distributed to students pursuing a business degree at North Central. The North Central University College of Fine Arts exists to develop passionate, spiritual leaders through academic excellence and rigorous practical application. An investment in the Fine Arts Endowment will ensure a dynamic Fine Arts program both now and for the future. Giving to the RAMS Club Fund offers tremendous support for all of North Central University’s student-athletes. Supporting the program with an unrestricted gift is most beneficial, as your contribution provides NCU athletics with the flexibility to strategically allocate resources across RAMS sports. Submit your Intercultural Studies donation online through this form. Your generosity transforms lives. Thank you for partnering with us to prepare students who will change the world! Explore your legacy planning options with North Central University.